I’m skeptical of anyone without an app these days so it is a great relief to see The Open Championship launch their own, for iPhone and Android handsets. The App will broadcast @TheOpen LIVE, the official online channel which we mentioned last week. It also has access to live coverage, video highlights, news stories, but most importantly real-time scoring updates. The Open Championship App is free and available from iTunes and the Android Marketplace. I’d also recommend investigating ‘Score Centre+’ for your computer. It is a live desktop console with live scoring, up-to-date news and video coverage of The Open Championship. The tournament will also have a big presence in social media on Facebook, (Facebook.com/The-Open-Championship), Twitter (Twitter.com/The_Open_Champ) and Youtube (Youtube.com/OpenChampionship). However don’t try and use your mobile app whilst you’re at The Open!! Great advice Timmy! Wouldn’t want to piss Bubba off. G’day Aussie Golfer – I reckon an article on the ‘best iPhone apps’ would be great. There’s a gamut of (mostly rubbish) apps on the market, but there are a few good uns like golfshot and the tiger woods swing one. What do you think? Keep up the good work, your site’s always a good read! I hope it’s better than the European Tour app. That thing is useless. Totally agree. Takes a good minutes just to see some scores! 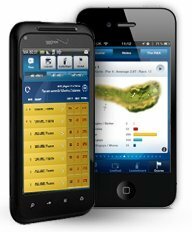 Oh and Karn, yes I’ve considered looking a little closer at the best golf apps, but to be honest I get a little lost in it all (which would be the point of the article! ).